From Sean Taylor, the author of Hoot Owl, Master of Disguise, and Kate Hindley, illustrator of Worst in Show, comes a hilarious new picture book comedy starring a very small fed-up dog...This dog doesn't want to be carried in a handbag (how embarrassing!) or eat heart-shaped Mini Puppy Treats (I mean, come ON!) 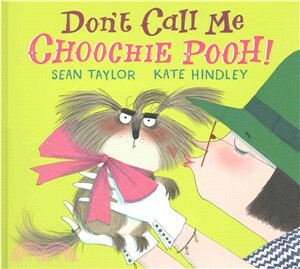 and under no circumstances does he ever want to be called ...Choochie Pooh! If only his owner understood. All he wants to do is play with the big dogs in the park - chase sticks, jump in muddy puddles and be an ordinary, proper dog.